The U.S. stock market has been the default play for investors even as the bull market enters into the latter stages of its market cycle, but when the well runs dry, it could be emerging markets and small capitalization opportunities receiving the lion’s share of investor capital. Emerging markets have been marred by the trade wars between the U.S and China, causing a negative ripple effect into emerging market ETFs, such as the Vanguard FTSE Emerging Markets ETF (NYSEArca: VWO)–down 7.67% YTD, iShares Core MSCI Emerging Markets ETF (NYSEArca: IEMG)–down 7.3% YTD and iShares MSCI Emerging Markets ETF (NYSEArca: EEM)–down 7.78% YTD. 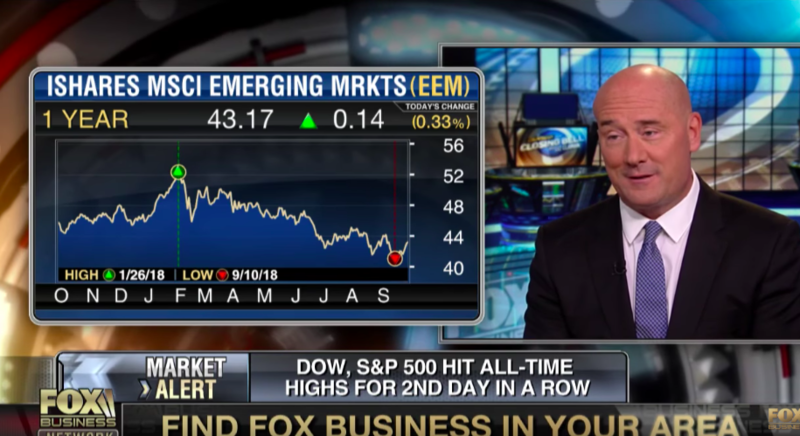 While the majority of investors might be driven away by the red prices in emerging markets, they should be looked at as being substantial markdowns, espcially if trade negotiations between the U.S. and China result into something materially positive. With respect to value compared to price, many of these ETFs from abroad present a profitable opportunity that can be realized, especially if China and the U.S. ameliorate their trade differences. It presents an interesting opportunity for the investor who is seeking value in terms of locating discounted assets.